Security Failure? Boy, 16, Shot and Injured at a Columbia Apartment Complex. Security measures are under scrutiny following the shooting of a 16-year-old boy at a Columbia, SC apartment complex Wednesday night, January 30, 2019. 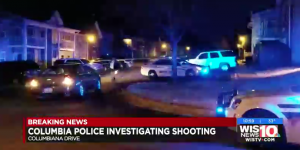 The Columbia Police Department says the shooting happened around 10 p.m. at “Harbison Gardens Apartments on the 400 block of Columbiana Drive…. A 16-year-old boy was shot in the lower body and taken to a hospital for a non-life threatening injury,” The State is reporting. According to WIS 10, investigators are reviewing surveillance video from the area and continue to seek additional information regarding the incident.